Berkeley Unified School District and the Board of Education recognize the important connection between a healthy diet and a student’s ability to learn effectively and achieve high standards in school. The Board also recognizes the school’s role, as part of the larger community, to promote family health, sustainable agriculture and environmental restoration. The sharing of food is a fundamental experience for all peoples; a primary way to nurture and celebrate our cultural diversity; and an excellent bridge for building friendships and inter-generational bonds. 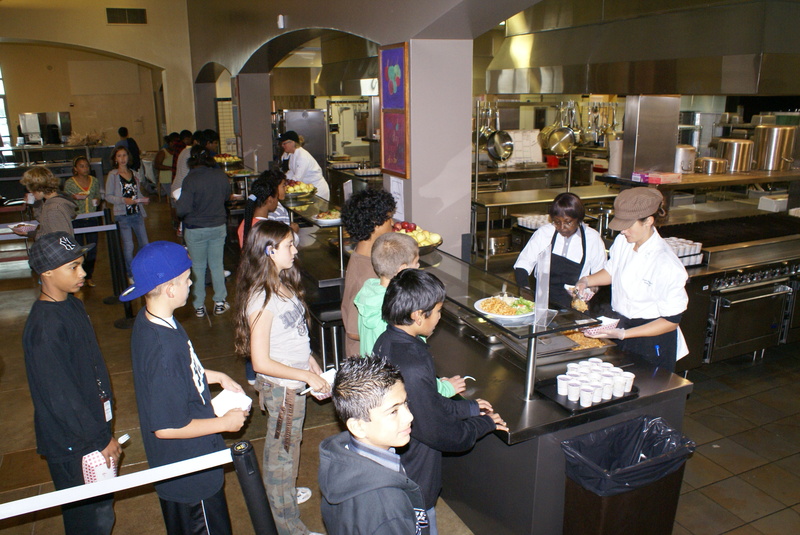 Berkeley Unified has a School Lunch Initiative (SLI), which has two primary goals: to serve nutritious and delicious, freshly prepared meals using locally grown food to all of our students and to educate children in kitchen, garden and academic classrooms about their food choices and the impact those choices have on their health, the community and the environment. We have eliminated all processed food, hydrogenated and partially hydrogenated oils, high fructose corn syrup, refined sugars, refined flour, chemicals, dyes, additives and nitrates from our school lunches. We also serve regional organic milk at lunch, local and/or organic fruits and vegetables as much as possible. All Students have a personal debit account. Students access their account using a card with a personal ID number. Purchasing meals in advance eliminates the need for your child to remember to bring money daily for lunch. You can write a check payable to Berkeley Unified School District. Please write your child’s first and last name on the check and deliver to your school site secretary or to site Nutrition Services lunch staff. We ask every BUSD family to complete the application for free/reduced price meals online at https://secure.ezmealapp.com. Even if your student does not intend to take advantage of the free lunch program, every qualified application is counted towards bringing additional federal (Title I) and state (LCFF/LCAP) funding to our schools. Households may complete and submit a family application at any time during the school year. Paper forms are also available at your school office. For assistance or any questions about completing forms, please contact the Office of Family Equity and Engagement at 644-8991.